September 3, 2018 — Hollywood, California — Global Nonviolent Film Festival, the most important and renown nonviolent film festival in the world, announced today it’s 2018 Lineup. There are thirty-two films that have been selected from nineteen countries. There are feature films, documentaries, docudramas, short movies and documentaries, music videos and one animation film. The Festival was launched in 2012 in Brasov, Romania. After four successful editions being held in the city of Brasov, the Festival transformed into an online event exclusively. It hosted its first and second such editions in 2016 and 2017 on its Vimeo On Demand Channel, making it a truly global event. Over the years, the Festival launched new filmmakers as well as awarded Stars like Nicole Kidman, Woody Allen, Richard Gere, and Robert Redford; some of the films awarded gained access to theatrical releases and have competed for Academy Award®’s nomination consideration. The Festival was founded by film director Bruno Pischiutta and producer Daria Trifu to showcase nonviolent, main stream motion pictures and to show that those movies are not only capable of great international success but they are also in high demand by the public. World viewers can watch any of the selected films at the time of their choosing and from the comfort of their homes. Until the Festival starts, the viewers may watch the trailers of most of the selected movies. Visit the Festival’s Vimeo On Demand Channel to watch the trailers and read details about each one of the films. The full versions of the selected movies will become available on September 20 and until October 2. The organizers of Global Nonviolent Film Festival like to thank it’s partners: Global Film Studio, Toronto Pictures, Daria! magazine, InkTip, iPitch.tv, The Film Festival Doctor and Spanish Public Media from Chicago. Daria! magazine will be published on September 10 and it will feature articles about the films and interviews with some of the filmmakers. Daria! will be available HERE. The 2016 edition of Brasov International Film Festival & Market was a great success. We screened three feature films, five feature documentaries, ten short films, two short documentaries and one short animation film coming from 17 different countries. Here is the complete 2016 Lineup. Here is the Award Winner’s list. Here are some photos and messages from the winning filmmakers who received their Trophies. The Legacy of Menla won the Best Documentary award at Brasov International Film Festival last year in September. “Our ‘Best Documentary Film’ trophy arrived! Thank you Daria Trifu and the Brasov International film Festival & Market! Brasov Int’l Film Festival, the most important and renowned nonviolent film festival in the world, has announced tonight the complete list of awards handed at this year’s edition of the festival. The “Honorary Award” has been handed to American businessman and political personality, Mr. Robert F. Sylk. The “Lifetime Achievement Award” has been handed to 91 years old Croatian actor and musician, Mr. Bruno Petrali. All the 21 nonviolent feature films, documentaries and shorts that have competed for awards remain available for viewing on the Festival’s Vimeo On Demand Channel until 5:00 PM (EST) on Wednesday, September 14. The Festival was founded by film director Bruno Pischiutta and producer Daria Trifu in 2012 to showcase nonviolent, main stream motion pictures and to show that those movies are not only capable of great international success, but they are also in high demand by the public. The Festival has been recognized by the IMDB and all the awards handed each year are listed there. 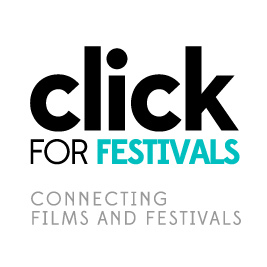 Visit the Festival’s IMDB profile. Brasov International Film Festival & Market is owned and organized by Global Film Studio Inc. The 2017 edition of the Festival will take place September 14 – 24. Robert F. Sylk received two Presidential Appointments. He was appointed by President George Bush Sr. to the Russian-American Economic Aid and Business Training Commission, and in the Name of President Barak Obama, and on the highest Recommendation of the Governor of California Jerry Brown, Robert Sylk was appointed by the United States Director of the Selective Service System as the representative Board Member for the State of California and for Riverside County, California. Robert Sylk has over 40 combined years of management, gaming, Casino Marketing and Table Game experience amassed at Mirage Resorts, Hilton Properties, The Venetian, El Dorado and Agua Caliente to name a few. He is currently President and CEO of Olympus Casino and Resort in Las Vegas Nevada, a $4 billion casino set to open in 2017, and he is the owner of Travel Agents International, with 33 offices in California. Mr. Sylk has received numerous merit awards during his career for his public service, business achievements and humanitarian contributions. Among his leading distinctions, he counts the Jewish National Fund’s highest honor: the “Tree of Life” award. Other recipients included Ted Turner, Donald Trump, The Honorable Tom Bradley, The Honorable Henry Waxman, and others. Robert F. Sylk serves as Advisor to The International Center for Finance at The Yale School of Management, and as Advisor at Cornell University, with regard to facilitating ethical practices in the workplace. Bruno Petrali was born in 1925 in Rijeka, Croatia. He started his singing career on Radio Rijeka and quickly became very popular. The sentimental lyrics of his songs were in the spirit of the times and they emphasized romance. Some of his most popular singles are “Without You”, “All My Autumns are Sad”, “Prisoner of Sleep”, “Poem for Two Couples” and “Blue Canary”. For the label Jugoton, Bruno Petrali recorded a total of eighteen tracks that were subsequently released on the market with much success. Throughout his career, Bruno Petrali sang, ran his own radio shows, starred in theater plays, acted in movies and, in the 70’s he also served as director of the Italian Drama ensemble in Rijeka. As a film actor, Mr. Petrali is known for his roles in “Povratak” (1979), “Velo Misto” (1980) and “Kapelski Kresovi” (1974). Today, at 91, Bruno Petrali continues to record music and to perform live. Most recently, he translated a popular Croatian song into Italian, “Una Sola Volta Ci Si Ama”. He has recorded the song with Sarah & The Romans, a Bluegrass style band. Bruno Petrali has been recognized as one of the top three Croatian singers of the last 50 years and twenty of his songs have been included in a recently released album entitled “Forgotten Stars”. After four years of successful annual editions, Brasov Int’l Film Festival, the most important and renown nonviolent film festival in the world, has moved on-line exclusively. This year, the Festival has been showcasing 21 nonviolent selected feature films, documentaries and shorts on its Vimeo On Demand Channel since the 1st of September. The Jury Awards will be announced tomorrow night, at the closing of the 2016 edition of the Brasov Int’l Film Festival. This year’s lineup has been featured in the 2016/2017 edition of Daria! magazine. The Festival has been recognized by the IMDB and all the awards handed each year are listed. Visit the Festival’s IMDB profile. Brasov International Film Festival & Market is on. Today is the 7th Day and it is dedicated to the feature documentary COURAGE by Sebastião Braga. Brasov International Film Festival & Market is on. Today is the6th Day and it is dedicated to the feature documentary NIGHT TRAIN.